Planning a wedding is a joyous, yet overwhelming process. There are so many details to keep track of. From picking the right venue to finding the perfect dress…it’s not easy making all those decisions. Videography is no different. How do you pick the right videographer when there are so many options out there? You need a videographer who understands that the little moments matter just as much as the big ones. Someone who can blend into the background and catch every hug, kiss and glance. Someone who can tell a story. Your story. Every wedding is different. We take time to get to know couples and their families so we can incorporate their personality and style into the finished video. It’s an honor to be invited into a couple’s special day and one we don’t take lightly. When we film your wedding, you won’t even know we’re there. After all, you’re the real showstopper! We also recognize that not every bride’s budget is the same. That’s why we offer a variety of options, ranging from basic packages to high-end ones that include multi-level cameras, drones, etc. We can film events leading up to the wedding day, including the engagement shoot and rehearsal dinner, and offer a post wedding shoot so you can revisit your favorite moments. Afterward you’ll receive a DVD, BluRay, or digital copy and a highlights video to share with family and friends. As your planning gets underway, set aside time and budget for quality videography. It’s a decision you won’t regret. A wedding is just one day, but the memories captured on video last a lifetime. Ready to get started? Contact us for more information! Absolutely loved TLJ Studios. They did an amazing job with our video. The day of the wedding, Tom did a great job with the before the ceremony portions. You didn’t even know he was there. My husband, our families and I were very pleased with how the video turned out. Every wedding is different – let us create the perfect package for your special day! Packages & Features – coverage starts at only $999. Fully edited packages (listed below) start at $1,599. We offer both partial day and full day coverage. You can order coverage only, coverage + highlight film, or a fully edited package. If you order only coverage, you have the option of upgrading to a fully edited package at a later date. 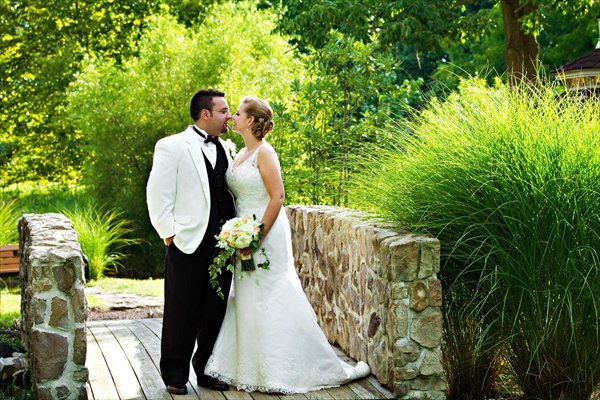 Call us today at 610-635-1133 – we’d love to sit down and discuss your unique special day with you! A favorite among all couples! The highlights of your wedding day are artistically presented with cinematic effects such as slow-motion, black & white, and custom transitions. Set to the background music of your choice, this is the film segment everyone loves to watch most, and rarely is there a dry eye in the room when it’s over! We’ll even upload your highlight film to a shareable webpage so you can share with family and friends! We arrive early at the location of your ceremony and capture scenic and panoramic pictures of the grounds and the facility prior to your guests arriving, as well as close-ups of all flowers and decorations both inside and outside. Guests are filmed as they arrive. Complete ceremony filmed, with a lapel mic clipped to the groom for crystal clear vows, as well as podium mics for your ministers and readers. Feel like a guest standing in the middle of the action as the photographer works with the family and bridal party. We film the food spreads and guests mingling. We film all the key moments, such as introductions, first dance, speeches, parent dances, cake cutting, etc. Included are some highlight footage during dinner, and plenty of dancing! We mic your DJ or Band sound system for crystal clear introductions, vows, and a pounding music soundtrack! Deluxe edited DVD – with interactive motion menus, artwork and jacket. Highlight Video – A favorite among all couples! The highlights of your wedding day are artistically presented with cinematic effects such as slow-motion, black & white, and custom transitions. Set to the background music of your choice, this is the film segment everyone loves to watch most, and rarely is there a dry eye in the room when it’s over! We’ll even upload your highlight film to a shareable webpage so you can share with family and friends! Second Camera Angle at Ceremony – a second camera at the ceremony adds numerous great angles from the front, including faces of parents and guests, as well as a second angle of the action from the front. Coverage of the Girls Getting Ready – we film all the ladies getting ready for the big day, and cover any formal photos your photographer takes prior to leaving for the ceremony. Coverage of the Guys Getting Ready – we optionally film the guys getting ready for the big day, and cover any formal photos your photographer takes prior to leaving for the ceremony. Second Cameraman at Ceremony and Reception – the main camera will always be focused at the primary action going on. A second cameraman will capture lots of additional shots of family, bridal party and guests looking on, as well as great secondary angles of the action. 2 free inlaw copies of deluxe edited DVD. Additional DVD copies are available with any package for only $25 each. All services from our other packages plus these Red Carpet Services! Photo Collage – you choose the content – growing up, wedding photos, honeymoon, or whatever you wish! Artistically presented, set to the music of your choice. Outtakes & Extras – Expecting any characters among your bridal party and guests? Revisit your wedding day on a more humorous and lighter note. A collection of spontaneous and unplanned events throughout your day are compiled into a single video segment. Set to light-hearted music, this segment is sure to tickle your funny bone, as well as present your wedding day in a more informal and fun setting. We are based in Skippack, PA and serve Eastern PA, New Jersey and Delaware.